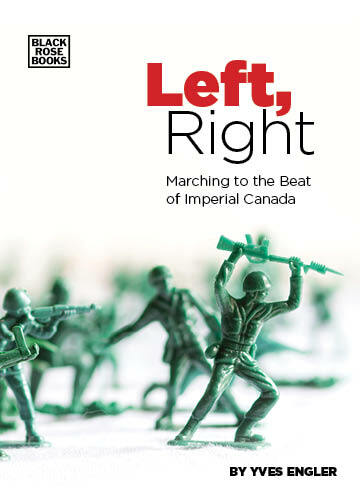 Now that November 11 and the official “remembering” of our “heroes”, their “bravery” and “greatness” is over, it is a good time to take a deeper, more critical look at Canada’s participation in wars. While on Remembrance Day we are told to “thank a soldier for your freedoms” and the commemorations talk about “defending democracy”, the reality of wars’ connections to colonialism, imperialism, and oppression are ignored. A Global News story about Nova Scotia university students visiting Canadian World War II soldiers’ graves in West Africa highlights the matter. The report ignored that The Gambia, where the Canadians were buried, was a British colony at the time and that Canadian forces legitimated European rule in Africa during the country’s only ‘morally justifiable’ war. During the Second World War Canadians fought by land, sea and air in colonial Africa. Describing a support mission in 1943 a Hamilton Spectator headline noted: “Canada Supplied 29 Ships and 3000 of Her Sailors for North African Action”. Many Canadian fighter pilots also operated over the continent. “During the Second World War,” notes Canadian African studies scholar Douglas Anglin, “considerable numbers of Canadian airmen served in R.A.F. [Royal Air Force] squadrons in various parts of the continent, particularly North Africa.” More than a half-dozen Canadian pilots defended the important Royal Air Force base at Takoradi, Ghana, and others traveled there to follow the West African Reinforcement Route, which delivered thousands of fighter planes to the Middle East and North African theatre of the war. Without Canada’s major contribution to WWII Britain and France may not have held their African colonies. And during World War I, which is the origin of Remembrance Day, Canadians helped the British, French and Belgians expand their colonial possessions in Africa. As I detail in Canada and Africa: 300 Years of Aid and Exploitation, Canada was modestly involved in two African theatres of WWI. In the lead-up to the Great War hundreds of Canadians, usually trained at Kingston’s Royal Military College, fought to help Britain (and the Belgian King) conquer various parts of the continent. Canadians led military expeditions, built rail lines and surveyed colonial borders across the continent in the late 1800s and early 1900s. More significantly, four hundred Canadians traveled halfway across the world to beat back anti-colonial resistance in the Sudan in 1884-85 while a decade and a half later thousands more fought in defence of British imperial interests in the southern part of the continent. If we are going to learn anything from history, Remembrance Day commemorations should include discussion of Canadian military support for European colonialism in Africa and elsewhere. To really understand war and its causes, we must take a look at its victims as well as its victors.